Once or twice a week I like to give my lips a good exfoliate. To keep dry lips under control with all this air con at the moment and to keep them looking plump. I had a friend pick this up for me on her recent trip to London. I picked it straight off the website so I wasn't too sure what to except. This stuff is amazing. Not only is it edible, it really does work wonders. My lips look so plump after using this stuff, I can't get enough of it at the moment. Bubblegum lip scrub comes in a small 25g jar, as per the name its bubblegum scented/flavour. I simply just pop a little bit on my finger and massage in circular motions on and around my lips. Next you can either lick it off, but I prefer to wash my off. Voila! super soft and plump lips. What's your favourite lip scrub? Since the Clinique Chubby sticks came out a while ago I've been dying to try them out. Lucky for me my friend called at duty free and asked if I wanted anything? I couldn't say no. So I got Whole Lotta Honey, there is a few other shades I want to try but I thought this was a safe bet. Whole lotta honey is a browny-pink lip colour, yet still neutral. It glides on like an extremely moisturising lipsticks and leaves your lips soft. The pigmentation i'd give a 7/10, but I wouldn't expect it to be a full colour as Clinique do describe it as a lip balm. It gives just the right amount of colour without making you too made up. Overall I'm loving the chubby sticks, I think my next on will be Whoopin' Watermelon! I'm not sure if you're like me but I love looking for bargains on Ebay, some of it is ridiculous, some of it actually quite handy. Whenever I need something, but don't want to pay a lot of money my first port of call is always Ebay. Many of times have I bought items at 99p and it does the job just as well as more expensive items in shops. 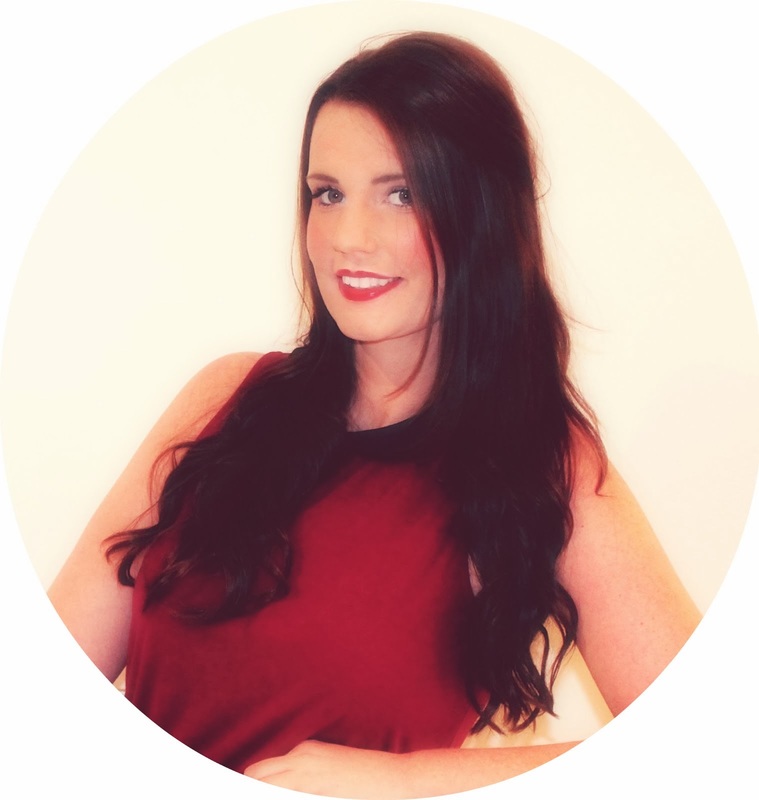 So I've put together my top 5 Ebay beauty items for under £1! What's your favourite ebay beauty bargain? I've been a loyal subscriber to Glossybox for over a year now, but I stumbled across a great discount for She Said Beauty box and I couldn't resist. I signed up for 3 months (3 boxes and Junes box was my first one to arrive). She Said Beauty, currently have a special offer on, up to 35% OFF that finishes on 30th of July. What's your favourite beauty box? NB* Boxes are not shipped directly to Malta, I have someone post them over to me or I collect them when I'm in the UK. A few months ago I received this Becca Beach Tint in Water Melon in my glossybox, and have only now got round to trying it out. I can't believe I've waited this long. I love this stuff! It's described as a water resistant colour for cheeks and lips. So I placed this in my must try pile on Sunday and I haven't used anything else since. The bottle is only 7ml but you only need the tiniest bit, and I mean tiny. The swatch below would be more than enough to do both cheeks and my lips! I love how this is a multi-product this is my new must have in my handbag and beach bag. It gives you a lovely flush of colour on your lips and cheeks without looking too made up. If you're looking for a multi-product this summer, I can't recommend this enough. I'll definitely be trying out more shades. Have you tried an Becca products? Now I need another one, as this only has space for 32 sticks! To be honest, this has to be the best £3.96 I have spent, because I had so much fun sitting watching tv and painting each of these. I bought this for £2.96(+£1 p&p) from Ebay . How do you organise your nail polish? 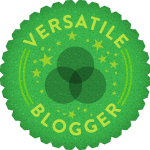 A few days ago I was tagged by the lovely Sica over at PurelyEnvy for the versatile blogger award. I know there is mixed feelings about doing these types of posts but it's my first and I thought it can't hurt to share a little bit more about myself. For the award, you post 7 random facts about yourself, and then nominate 15 more people. I am an only child. So is my boyfriend, so if we ever have kids they won't have any aunties, uncles or cousins! I am a vegetarian. I have been for over a year and a half. I don't drink alcohol. This is the one that shocks people the most. I used to, and quite a fair bit. But over the last 2 years I've had no desire. I've lived in 3 different countries. I'm still really good friends with the girl I met on my first day of primary school. I'll spend hours learning how to do things. I also keep buying domain names. I'd love to own my own business by the time i'm 30. For a fraction of the price at only £13.99 (+ £5.99 P&P), I really can't complain. and it arrived in Malta within 2 weeks, which I was surprised about as they normally take quite long from Hong Kong. 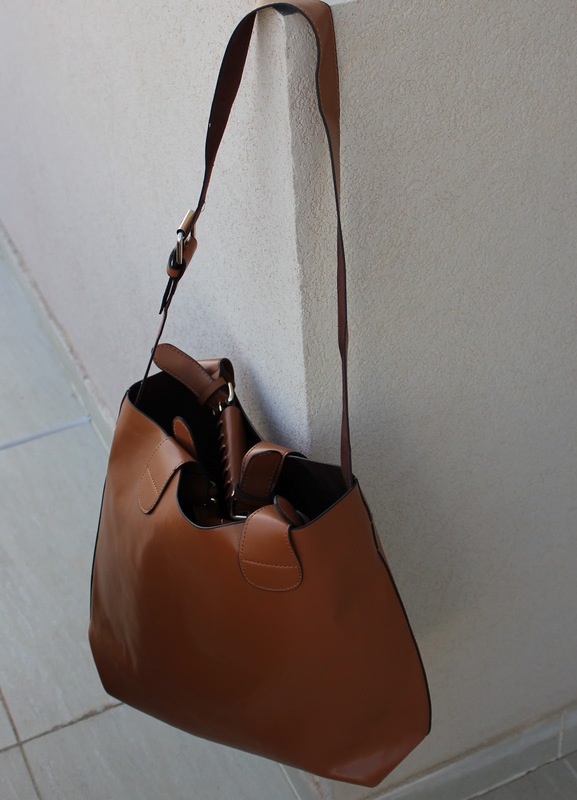 The bag is good quality and has a separate compartment inside which is detachable. The shoulder strap is also detachable. The inside and lining is nothing to rave about, but who's looking in there? The seller has some really nice pieces and I'll more than likely be buying from them again as I was so impressed. The bag even came in a dust bag! **Update** A few hours after writing this post yoyo.com.mt stopped selling fake MAC cosmetics. A big thank you everyone for the support. Hi all. I wanted to write more of serious post today and that's about fake cosmetics. You'll find countless of fakes on ebay, some easy to spot - some not so much. The thing that annoys me the most is that by buying fake cosmetics not only are you funding these fraudsters, you don't know what you're putting on your skin. There's no way to know if these have been tested! Anyway I recently came across a website here in Malta. www.yoyo.com.mt , saying they are selling MAC cosmetics. While I never used the website before, I thought with over 5,000 facebook fans it can't be all bad (especially for a small island). So I ordered a lipstick to see for myself. This was priced at 13.50 Euros, and I received a 15% discount, so it was around 11 Euros I paid. My package arrived within 3 days. But when I got home, I checked the product against my others as I thought it was too good to be true to finally sell MAC in Malta. They all look pretty much the same right? These fakes are good, the packaging it 100% double even down the logo. Looking at the bottom, it's starting to become clearer. (1st on the left is fake). Notice the different size of text and how the label is a different colour? Also can you see how the surface on the fake is like a mirror! And for those with an extra keen eye, you'll notice the real (right) is slight thicker as well. Last but not least, the thing that confirmed this for me was the smell. All Mac lipsticks have a subtle vanilla smell, right this lipstick smells like cheap plastic/plasticine! So I emailed the company to make them aware these products were fake. And they denied that they were fake and assured me they were 100% real. I stood my ground and pointed out my reasons. Whether they knew or not I'm not sure. They offered me a refund, but that's not what I was looking for - it was about right and wrong. What if someone has an allergic reaction! At the time of writing this yoyo.com.mt are STILL selling Mac cosmetics and people are getting excited because there's now "MAC in Malta". I have contacted MAC and they will deliver to Malta. Yes it's expensive (£18), but you can't put a price on your face and having a bad reaction to this. If any Malta bloggers/and or readers would like to purchase Mac i'd be more than happy to split the shipping costs. The more the merrier...the cheaper the shipping. Anyway, please because when ordering cosmetics that seem too good to be true and spread the word about this site. I'd hate see someone wasting their hard earned cash on fakes. In todays FOTD I was wearing my faithful Ebay Eyelashes . I've tried lots of brands, but I always have some ebay eyelashes on hand. And for 10 pairs under £1, I can't complain either. They aren't the best eyelashes in the world, but they do look good, espeically for less then 10p a set! They come with little tabs at each side which you need to trim down, I trim a little more down to fit my eye. A good tip with these eyelashes is to bend them round your finger for a few seconds to give them more of curve, which helps them sit better on your eyes. I have been looking for my perfect foundation for a long time, I've tried everything from MAC to E.L.F and everything else in between. I mean how difficult is it to find a matte foundation with a full coverage? Nothing I've tried in the past quite covers everything up. They say you shouldn't change what you have, but I don't like my freckles! People without them think they are "cute", but i'm in my mid twenties, I don't want to look "cute"! I could go on about this forever but long story short...I don't like my freckle face! Anyway, a few weeks ago I went shopping and gave in and asked a shop assistant for a recommendation. She suggested I try this new amazing "Guerlain Parure Extreme", it's matte/waterproof/full coverage and even makes your bed in the morning! Sounds like a dream right? Until she told me it was 50 Euros! At this point I was in the awkward position of sounding cheap and asked if she maybe had something a little less expensive (which there wasn't of course!). But I was just deflated, and gave in. I haven't used anything from the Guerlain brand before, but had heard good things and the colour was a pretty good match. I've been using this foundation everyday for almost 3 weeks now, and I do actually love it. I'm now glad I bought it. It has a lovely matte finish, leaving me looking healthy and glowing. After 10 hours in office and lots of face rubbing from excel stress, I don't look as good as I did when I left the house, but not far from it. I'd be happy to go out straight from work with a little blusher touch up! £35/ €49 is expensive for a foundation in my eyes, but if you're looking for that all singing all dancing, I'd at least recommend trying it out.